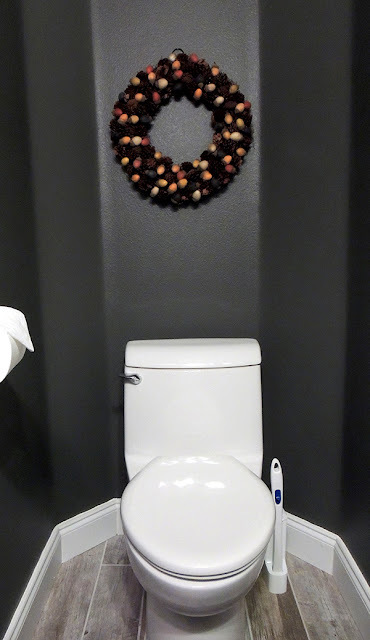 Do you guys ever decorate your bathrooms for holidays? In my house, they’ve kind of been a neglected space. Not just for holiday decor, but for anything! I’m going to show you how I changed that though and got my main bathroom holiday ready. The first, and most important step, is to start with a clean canvas. But don’t think of it as a hard task to get the bathroom all sparkly. Wipe down mirrors, counters and sinks. 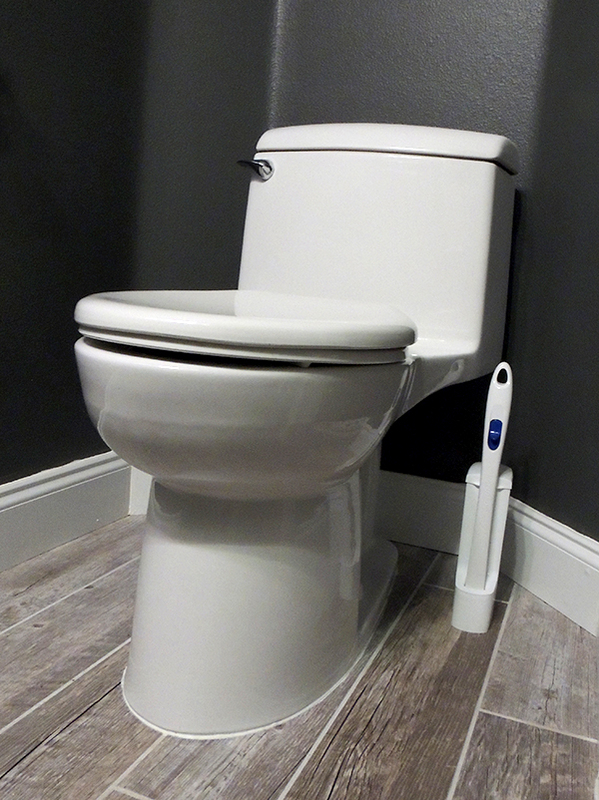 Grab any trash from the floor, and use Scotch-Brite® Disposable Toilet Scrubber to clean the toilet. They’re awesome for the job because each scrubber is pre-filled with a bleach-alternative cleaner so there’s no messy, drippy bottles to deal with. 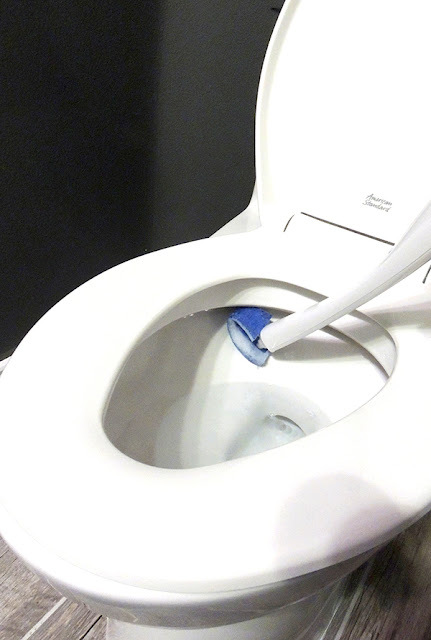 The specially designed shape cleans hard to reach spots under the rim. Then after use, just toss the scrubber! With all surfaces dazzling now we can layer in some decorations and complete the bathroom. 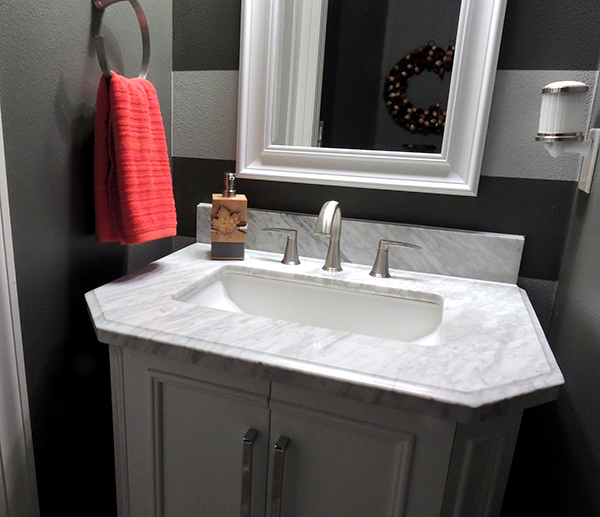 Even if you just add 3 new things into your bathroom, it can totally change the look. 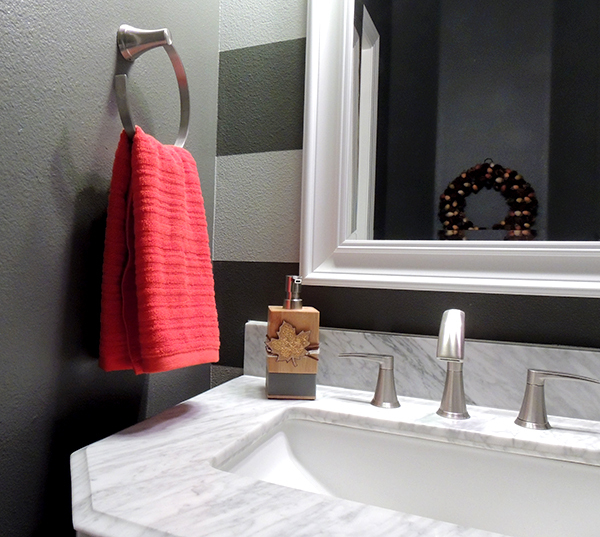 1) Buy a new hand towel in a fun color. 2) Decorate a soap dispenser. 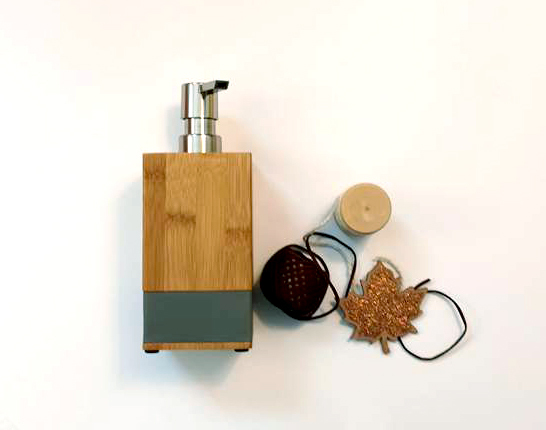 I bought this bamboo and gray dispenser along with some twine, leather string and shimmery wood leaf cutouts. Wrap the twine and the leather around the dispenser and tie the ends in a knot. Use a bit of hot glue to attach a leaf. What tips do you have for decorating a bathroom and making it feel holiday ready for guests?